We’d love your help. Let us know what’s wrong with this preview of Imagine Childhood by Sarah Olmsted. 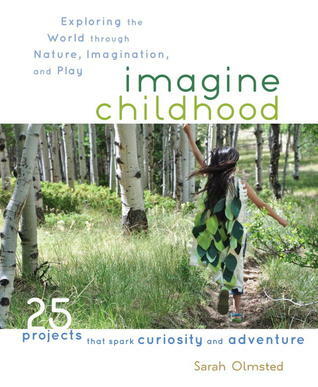 To ask other readers questions about Imagine Childhood, please sign up. This book was fine, if a little twee. Some of the projects described look interesting, but none of them were particularly groundbreaking. This book is very much part of a tradition of idealizations of children that I find a bit frustrating. A bit fluffy and redundant in its discussions on childhood imagination, but the activities are really great! I would recommend to any parent seeking to boost imaginative fun with their kiddo(s). Sarah Olmsted grew up in Colorado and spent much of her time exploring art, science, and the nearby foothills and mountains. After receiving a bachelor of fine arts degree from the San Francisco Art Institute, she spent some time as a freelance children’s furniture designer/fabricator, which eventually led her to the Field Museum of Natural History. There she worked in exhibit design, developing interactive educational activities for permanent and traveling exhibitions before moving on to cofound imaginechildhood.com in 2008.